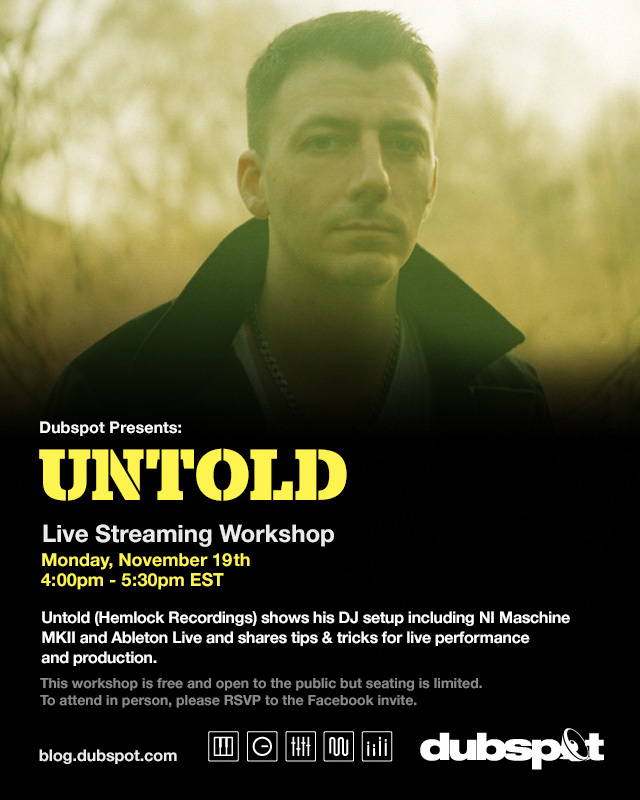 On Monday, November 19 at 4:00 PM EST, Dubspot welcomes UK DJ/producer UNTOLD to our studios for a live streaming workshop in which he’ll showcase his current DJ setup, including Native Instruments’ Maschine MKII and Ableton Live, and share some tips and tricks for live performance and production. On Monday, November 19, Dubspot will host a live streaming workshop with UK electronic music DJ/producer Jack Dunning a.k.a. 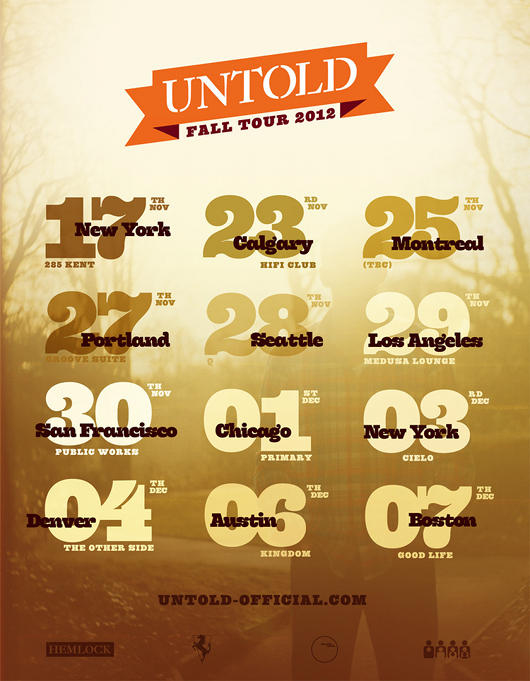 Untold, who will explain and demonstrate how he utilizes production and performance tools including Native Instruments’ Maschine along with Ableton Live. The workshop will start at 4:00 PM EST and run until 5:30 PM EST at our New York location. This event is FREE and open to the public. To attend please RSVP on our Facebook event page. Please return to this post on 11/19 and you’ll find a streaming video window at the top of this page where you can watch the entire event in real time.